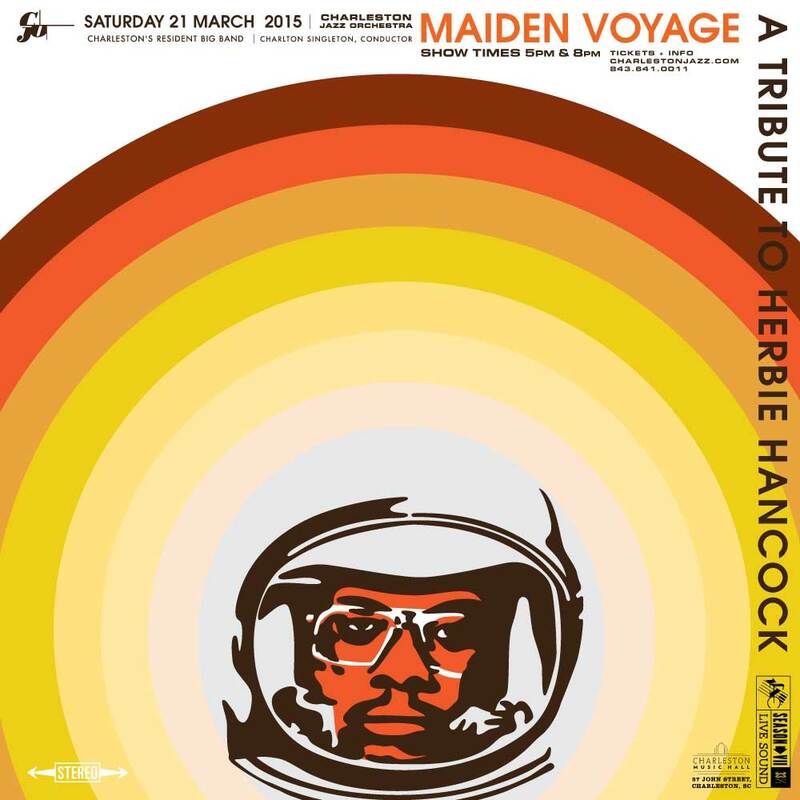 that’s right, jazz artist of charleston present this saturday, a tribute to herbie hancock. get your tickets now folks, this will be a good one. this poster was influenced by his album, flood. good funk fusion. check it out.